Despite it being the season to give generously, the reality is that not every child will be opening presents on Christmas morning. For some, Christmas is a time where the disadvantaged and unfortunate are left by the wayside. But Hallam FM has come up with a wonderful campaign which allows the people of South Yorkshire to do their bit to help. By entering Hallam FM’s ‘Mission Christmas’ - a charity drive to collect gifts for children living in poverty – everyone can do their part to make Christmas extra special for some children. As they say on their website, their annual goal is to make sure no child wakes up on Christmas morning without gifts. And last year they did mighty well with a whopping 17,115 children helped with their parent charity, Cash for Kids, raising over £1 Million! Just like last year with the 12K’s of Christmas, the team at CarShop couldn’t sit by and not help Hallam FM with their noble efforts. 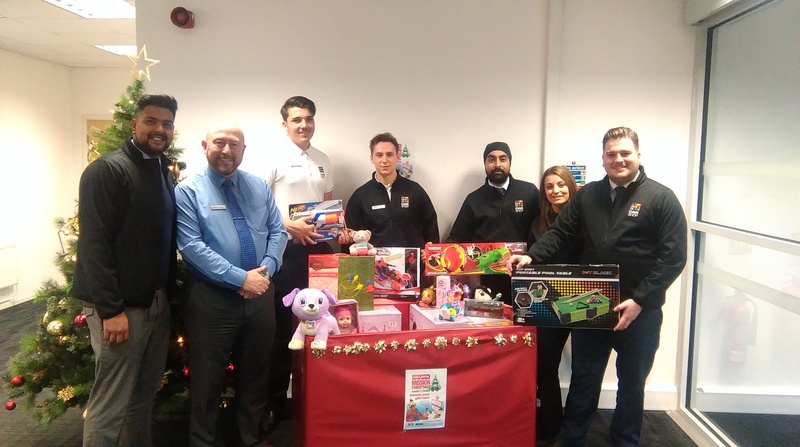 So that’s why they’ve opened the doors of their Doncaster store as an official drop off point for presents; taking in gifts from across South Yorkshire to be sent to the children who really need them. And the gifts just kept pouring in! The amount of support flowing in from the people of Doncaster was incredible, with over 100 presents to date. There’s still time for you to pop in to CarShop Doncaster and help donate to make sure the children of South Yorkshire can have the Christmas they deserve; just pop into the store located at Trax Park, Decoy Bank South DN4 5PD. CarShop would like to thank everyone who has donated so far for their amazing generosity, and would like to wish everyone a Merry Christmas.